Made using our PET technology and 50% post-consumer recycled PET. 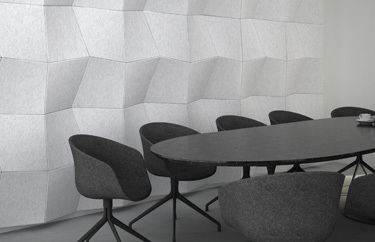 Sola Felt is designed to be attractive, environmentally sound, and embedded with acoustic properties. Utilizing PET technology for good. 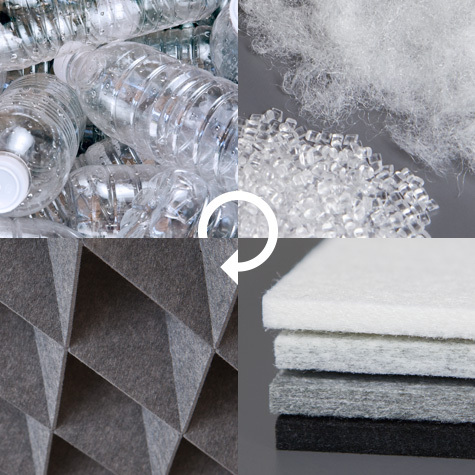 Our expertise in Polyethylene Terephthalate (PET) grew from a desire to create high-design solutions, without sacrificing performance and sustainability. PET, commonly found in water bottles, is recycled into pellets that are then extruded into thin, soft fibers. Layers of these fibers are then pressed together to create a sheet of sound absorbing Sola Felt. 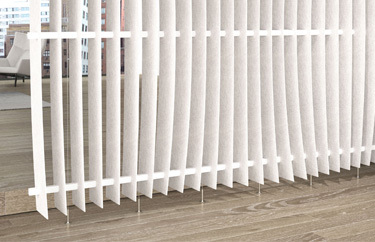 Absorptive materials soften reverberation and dampen sound energy in a space. Absorption is ideal for loud conference rooms or open spaces where people congregate. Sola Felt is ¼” thick with a Class A fire rating and is available in 15 colors. 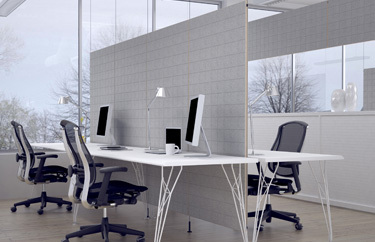 Create a private space, contain sound, and build a more comfortable environment with this absorptive, modular tile system. Elevate any space with tackable, sound absorbing Sola Felt. Available in six pattern options. 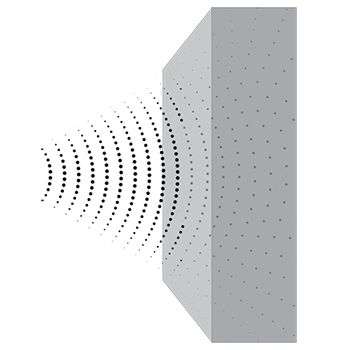 Transform an overhead space with the soft texture and geometric pattern of Clario baffles. 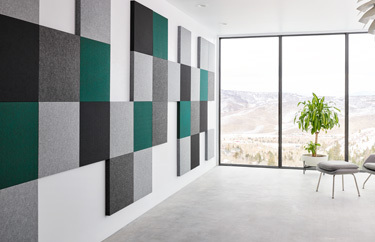 Transform vertical space with rigid acoustic panels highlighted with geometric patterns. The suspended Divy partitions and baffles absorb sound and double as tackable surfaces.